Now, as I scooped up my melted heart off the floor, I had an ‘aha’ moment. You see, I know that the research indicates that for so many scientific reasons we ought to be teaching our children how to write by hand, despite an educational trend towards the opposite. With the increase of useful communication technology, there is a school of thought that indicates that typing skills are more functionally important than manuscript or cursive writing. However, proponents for teaching cursive will remind us that, for children who struggle with letter reversals (like b and d), cursive helps to distinguish between similar letter forms, and so corrects reversals naturally. 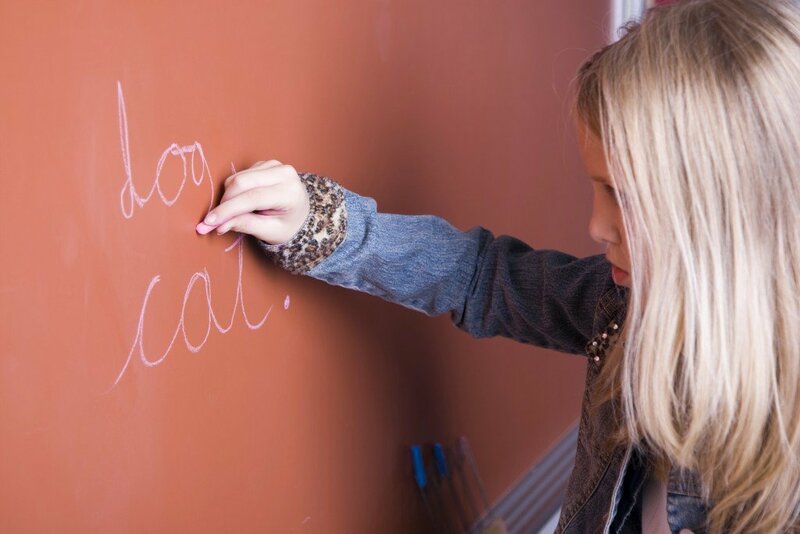 And for children with focus or energy issues, cursive eliminates the distraction of picking the pencil up off the paper after every stroke. Less energy is expended in cursive writing, and that small saving of energy can give the student the focus he or she needs to concentrate on the subject content itself. The debate of whether or not cursive, or even manuscript, writing is redundant in this day and age of computers and texting is a hot topic. However, science aside, when I looked upon that precious note from my boy, I knew that there is something special about the time, care, and attention given to a handwritten note. No matter how elegant or how scribbly the penmanship, the personal touch of handwriting speaks volumes that a text message simply cannot convey. Obviously, an email from my son telling me that he loves me would be incredibly precious to me as well, but having his age, his size, and his development preserved forever in this visual reminder gives me all the motivation I need to keep encouraging my children to write by hand. It also motivates me to take the time this week to write a note of encouragement to someone I love. When is the last time you hand wrote a letter to someone? Is there someone coming to mind, even now, who you know could use an encouraging word from you? Take some time this week at home, both you and your children, to write a note to a grandparent, a pastor, a neighbour, or a friend who could use a personal word from you.